Acupuncture is one of the oldest recorded forms of medicine having been used for over 3000 years in China. 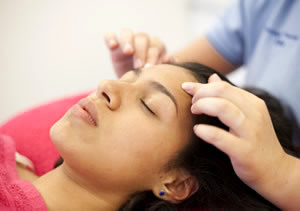 Modern science has shown that acupuncture stimulates the brain to produce natural pain relieving chemicals, endorphins. These assist the body to heal itself and give pain relief. The traditional view is that Qi (energy) flows around the body channels. If the Qi is flowing freely, the body is in a healthy state. If there is a problem, energy stagnates. The stimulation of appropriate acupuncture points frees this stagnation. Acupuncture is safe when practised by someone with appropriate training. The needles used are sterilised and single use, so there is no risk of cross infection. Research has shown that most people gain some relief from pain with acupuncture. It does not work for everybody and every condition but, frequently, good results are achieved when more conventional medicine has failed. There is nothing spiritual about it and you don’t need to believe in acupuncture for it to work for you. The effects of acupuncture are cumulative, with pain relief building up as treatment progresses. Some people are particularly good responders while others may see little benefit until they have had a few treatments, this is more likely with a longstanding problem. Occasionally, the condition may become slightly worse at first. This is not bad sign as it usually means the condition will respond. There are several reasons why you should see a chartered physiotherapist if you think you want acupuncture. 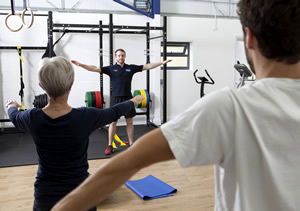 Chartered physiotherapists work in close association with your GP and Consultant. They have a degree in physiotherapy, before training for acupuncture at a post graduate level. 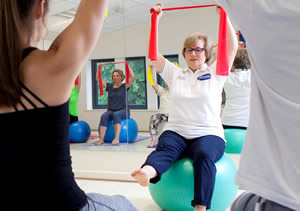 Chartered physiotherapists are also members of the CSP (Chartered Society of Physiotherapists). Physiotherapists are in an unique position of being able to combine acupuncture with other assessments and treatments. Physiotherapists practising acupuncture are trained to specific standards which are set by the AACP (Acupuncture Association of Chartered Physiotherapists) and have undertaken approved training plus annual update training for acupuncture to provide pain relief. 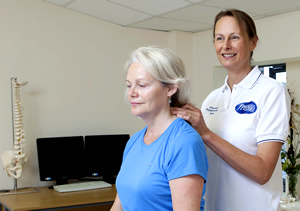 When you visit a chartered physiotherapist, you will be given a detailed examination. Based on the findings, your physiotherapist will agree a treatment programme with you. We advise that you eat something before attending treatment as acupuncture can lower your blood sugar levels slightly. This can occasionally make patients feel a little light headed or tired after treatment. For this reason we advise patients to come with someone for the first time, this is essential if you are to drive home. Acupuncture should be a relaxing treatment, please allow plenty of time to get to your appointment to avoid rushing. This is the most common question when needles are used. When the fine needles are inserted the sensation is usually like a very fine pin prick, which should only give mild temporary discomfort. A deep but mild aching sensation can often be produced on stimulation of the needles. Our physiotherapists are recognised by the Acupuncture Association of Chartered Physiotherapists.